There are a lot of places to get a good sandwich, but my favorite remains an place I first tried over 25 years ago as a teenager. Lincoln's was in Calumet City at the time and from the first time I tried it, I was hooked. It was well worth waiting in long lunchtime lines for a good sandwich and some of their homemade pie. Luckily, when the family (who before opening in Calumet City were in Gary, IN) decided to leave the Calumet City location, they opened one in Highland, IN. There are now a couple other sandwich shops in the area called Lincoln's, but the Highland one is referred to as Lincoln's O. The "O" stands for Original. 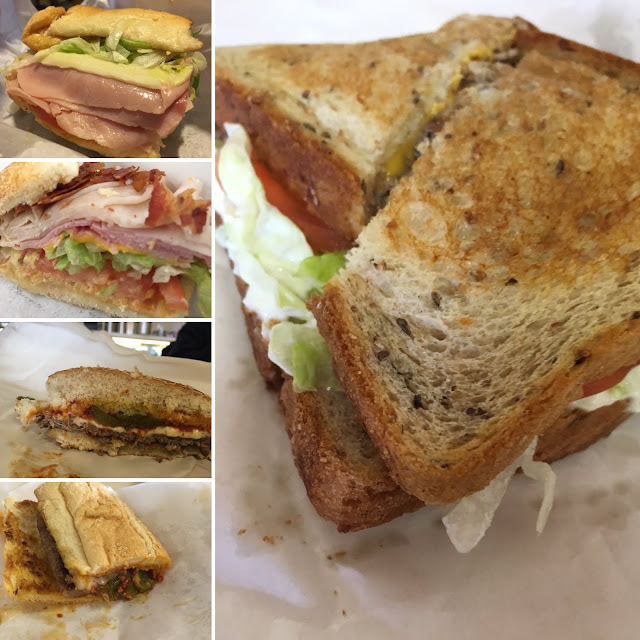 They have a big variety of tasty sandwiches, including some special signature ones like the Cal City Special, which is my favorite. It has turkey, ham, bacon, American cheese, lettuce, tomato and mayo on Italian bread. Other signature sandwiches include the Chester Hoagie, the Bunny Girl, the U.S. Steel Special, the Sibley Special and the Toledo. On my last visit, I was waiting for my order and someone went up to the register pick up a couple 3-foot party subs. Somehow I never even realized they offered them. One of the workers placed two long, heavily stuffed subs on the counter and I was really surprised when the total was only around $47 with tax. I've ordered big subs for parties in the past and the cost was at least $10 per foot. Now I kinda want to throw a party just so I can order the giant subs to see how good they are. If they mirror their regular sandwiches, I know they are incredibly delicious. If you have never tried Lincoln's, it's a must if you visit NW Indiana. They do have shorter hours now - just 11 a.m. - 4:30 Monday through Saturday, so plan accordingly, but be sure to bring your appetite.